How quickly can the global energy sector become low-carbon? Christopher Greig, a chemical engineer with over 30 years of experience in resources and energy industries, is leading the Andlinger Center’s new effort to answer this question and determine the pace at which the global energy sector, which accounts for nearly 40% of the world’s greenhouse gas emissions , can be decarbonized. The project, called Rapid Switch, will analyze regional bottlenecks to the introduction of low-carbon technologies. It seeks to identify and lay out pathways to overcome obstacles to rapidly decoupling energy production and greenhouse gas emissions. The work, involving disciplines across Princeton, will specifically examine the integration of renewable energy sources, such as solar and wind, into electricity networks; energy intensity improvements in the industrial sectors; and the transition of the built environment to include low-carbon cements and technologies that improve energy efficiency. Greig will also study the feasibility of projections for carbon capture and sequestration and the phase-out of coal plants in countries including India and China. The work will consider technological, social and political factors. “This is a joint effort that cuts across research disciplines, professions, and industries and is exactly the kind of research we want to foster here at the center,” said Yueh-Lin (Lynn) Loo, the Andlinger Center director. Greig, who joined the Andlinger Center in July for a two-year appointment as a Gerhard R. Andlinger Visiting Fellow in Energy and Environment, is a professor and director of the Dow Centre for Sustainable Engineering Innovation at the University of Queensland (UQ) in Brisbane, Australia. He also established and served as the inaugural director of the UQ Energy Initiative. The Rapid Switch project is jointly led by the University of Queensland and the Andlinger Center, and will include researchers at Carnegie Mellon University in Pittsburgh, Tsinghua University in Beijing, the Indian Institutes of Technology at Bombay and Delhi, and Ashoka Trust for Research in Ecology and Energy in Bangalore. Ultimately, the program will expand to include participation from all major greenhouse gas emitting regions. 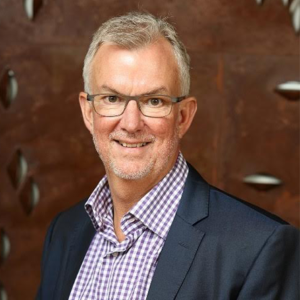 As CEO of ZeroGen, Greig previously oversaw feasibility studies and CO2 storage exploration for the development of a commercial-scale coal gasification plant with carbon capture and sequestration in Australia. He also co-founded a startup that developed technologies for processing sugars, minerals, and other materials, successfully commercializing several technologies and selling the company in 1999. Greig also holds several non-executive director roles, including ones with the Energy Policy Institute of Australia, and previously at the Queensland government-owned Gladstone Ports Corporation. The Andlinger Center visiting fellows program offers a full-time immersive experience for seasoned professionals from the energy and environmental sectors. Fellows collaborate with Andlinger Center researchers on innovative energy and environmental projects, co-teach courses on campus, and give talks or workshops, leveraging their experience working in the field. “The fellowship program and the Andlinger Center spark the collaborations necessary to build effective solutions by bringing in talented and knowledgeable practitioners,” said Loo, the Theodora D. ’78 and William H. Walton III ’74 Professor in Engineering. The program started this February with inaugural fellows, Judi Greenwald, former senior advisor to the secretary for climate change at the U.S. Department of Energy, who continues to interact with the Andlinger Center community through its new non-resident fellows program, and Darren Hammell, president and CEO of Princeton Power Systems, who will be at the center through 2020.